Blackbirds (Amseln), 12/2013. 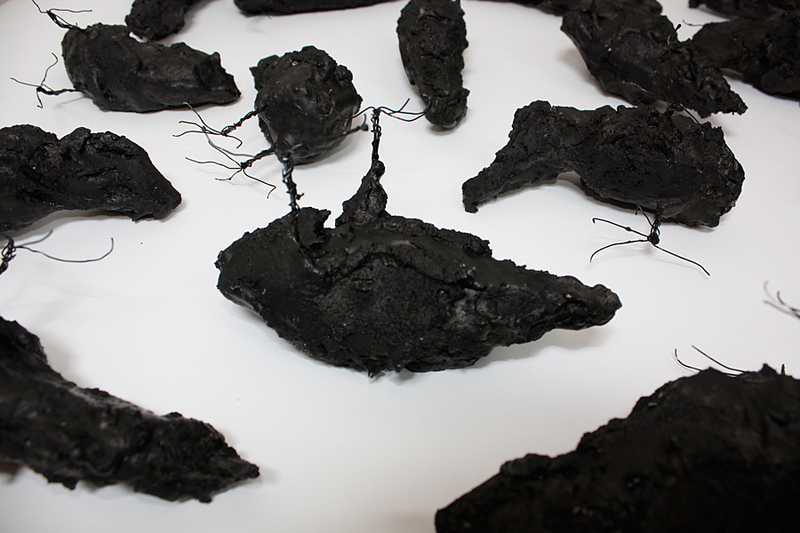 Paper, wire, concrete, dried tree; 250x150x150 cm. Art Qitilinga group show at the Old Post Building, Quedlinburg, Germany.